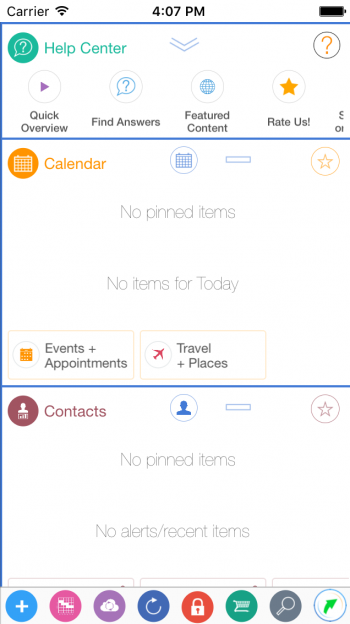 How do I customize colors for items in the Calendar? You are here: Home / LifeTopix / Common Questions / How do I customize colors for items in the Calendar? 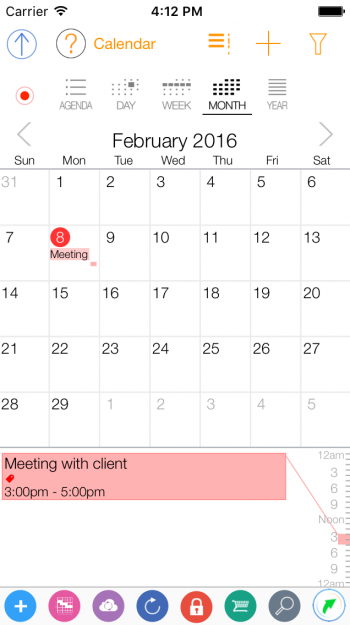 For iOS events shown in your app, we respect the color assigned to the calendar in the default iOS Calendar App. Unfortunately, through the iOS Calendar it doesn’t allow changing the color for some of the them. In the iOS Calendar App if you tap “Calendars” in the bottom of the App and then scroll down to iCloud if you tap one of those items it will allow you to change the color. 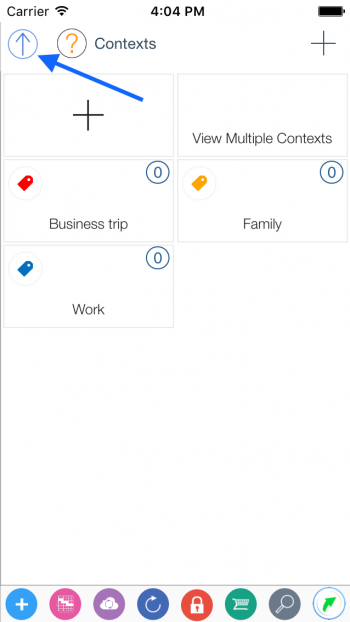 We support color customization by Topic Item types (Topic Item types have their own colors), by Themes (and bonus colors), by Context Tags (Context Tags can be assigned their own colors for work, projects, social, medical, etc. ), and also customization by custom images (for various individual items like Tasks, Projects, Assets, etc.). 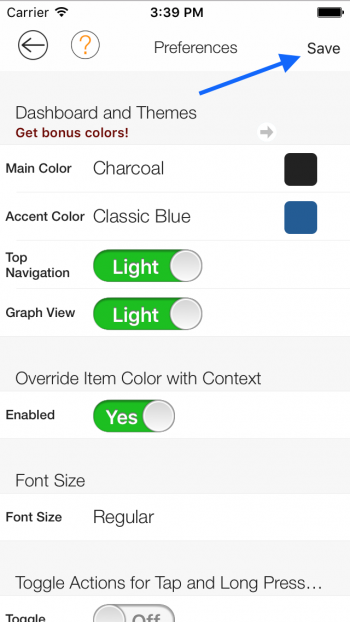 We allow for overriding the item colors with the context color (instead of topic color). That’ll give the cells in the calendar week view your context color versus the default colors for the data/item or topic. Also, if you enable “Override Item Color with Context” (in “My Settings”), then the context tag color will be used as the item background color with transparency. 1. From the dashboard view scroll down until you see the “Settings” card. Tap the “Preferences” button. 2. 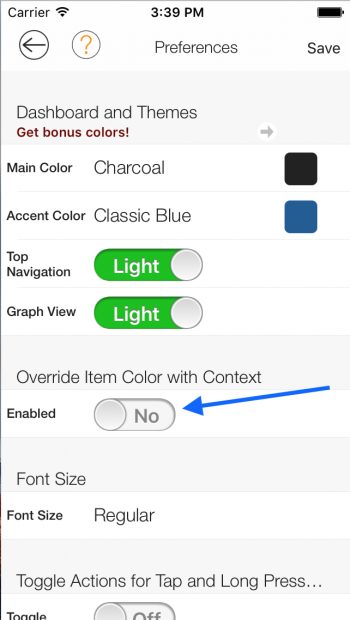 From the Preferences view underneath the heading “Override Item Color with Context” set the “Enabled” field to “Yes”. Then tap the “Save” button. 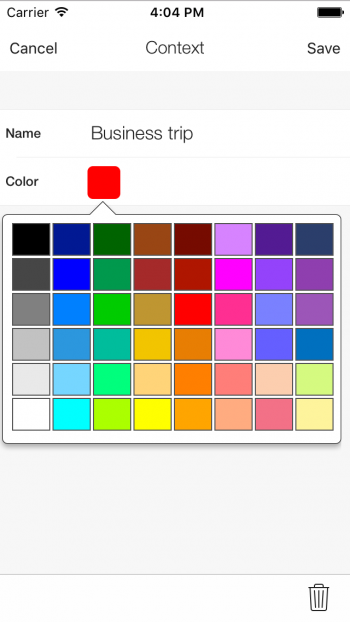 Also, from the Preferences view if you tap the arrow button next to “Get bonus colors” and rate our app you can get bonus colors that are available for “Main Color” and “Accent Color”. 3. 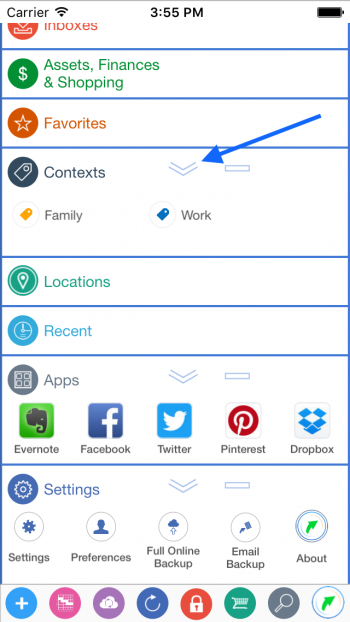 Next, from the dashboard view expand the “Contexts” card you can add a new context tag by tapping the ‘+’ button. 4. From the “New Context Tag” view enter a name for the context tag and then select a color. Then tap the “Save” button. Then collapse the “Context” view. 5. 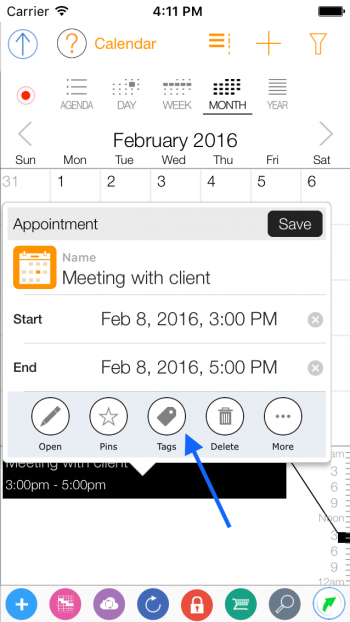 On the dashboard view tap the calendar button to expand the “Calendar” view. 6. 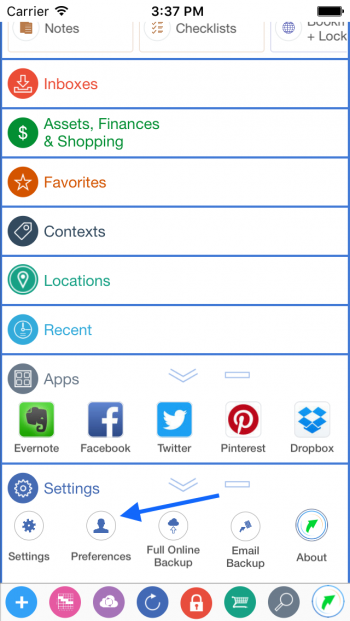 Tap an item from the “Calendar View” and then tap the “Tags” button. 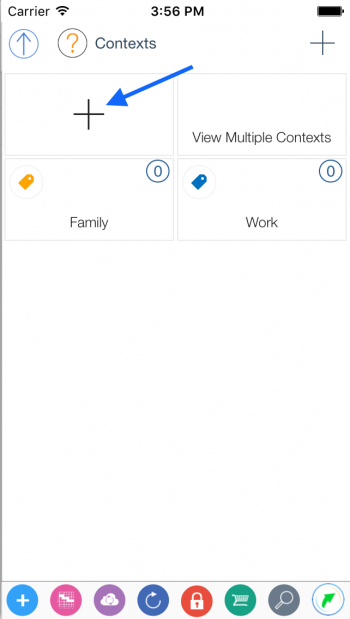 From the “Contexts” view select a context and then tap the back arrow button. 7. Now you can see the item color has been overridden with the Context color.